View of the Grand Plaza from the North Platform. 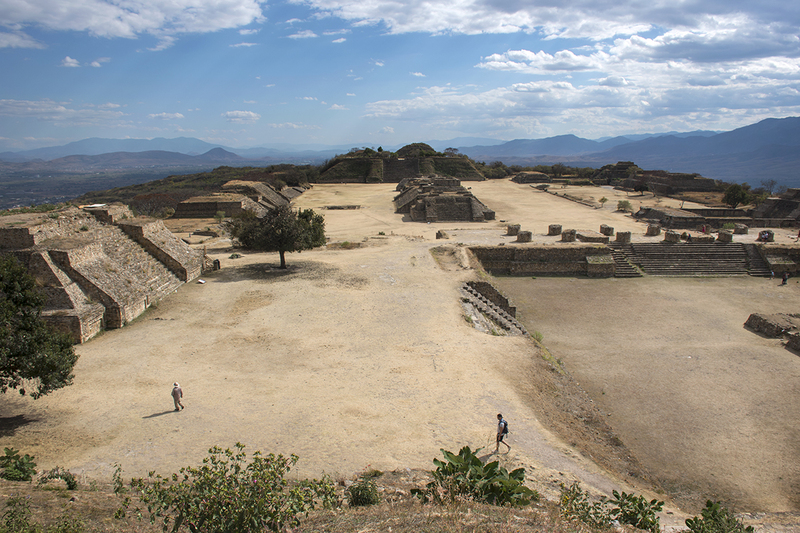 We had planned to visit the archeological site at Monte Alban while we were in Oaxaca and when we checked around we learned there were buses going to the site from only one place in town, near the Hotel Rivera on Calle Mina. We walked down to the hotel and were accosted by a woman from a shop across from the hotel telling us that her shop was where the tickets to Monte Alban were sold. We listened to her pitch and then proceeded on to the hotel where there is a tourist shop selling the same tickets for 5 pesos cheaper than the woman was offering. There are always opportunists everywhere we go. At any rate, cost for round trip transportation to the site was cheap, only 50 pesos each. 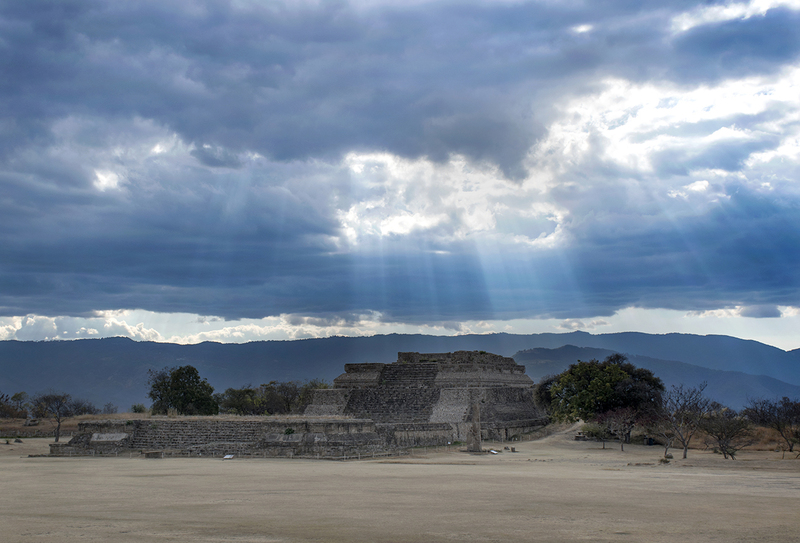 Monte Alban is located about 6 miles southwest from Oaxaca City. For some reason I was expecting it to be located in the valley floor, but soon after we left the city we began climbing into the hills, which provided an opportunity to see neighborhoods on the outskirts of Oaxaca, which are not nearly as attractive as the city center. The site is actually located on top of a leveled off mountain ridge 1300’ above the floor of the Oaxaca valley and it offers a panoramic view in all directions. The day was fairly clear and we could easily make out the Oaxaca city center in the distance. I was wondering about the practicality of maintaining a city on a mountaintop, particularly with regard to getting water, and learned later that scientists believe that most of the water had to be transported uphill from the nearby Atoyac River. The advantage of the location was that it made the city easier to defend against invaders. View from the South Platform. Monte Alban was built and originally inhabited by the Zapotec people, beginning around 500 BC. 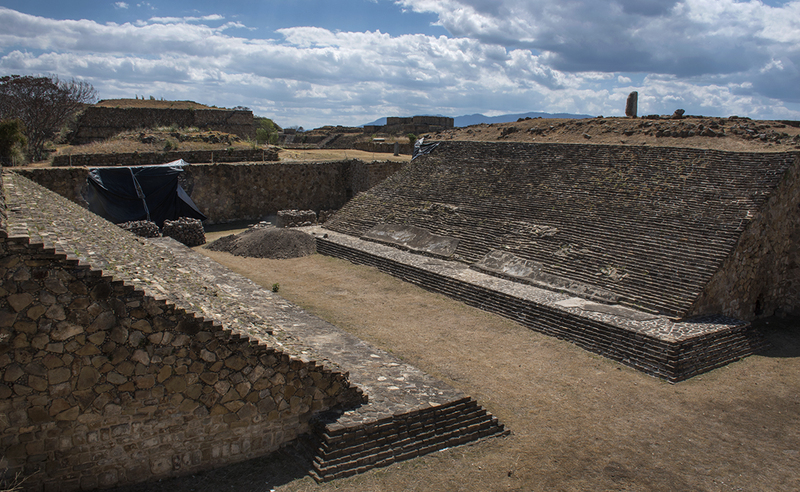 It was the capital of the Zapotec’s socio-political and economic administration for 1300 years and was one of the first examples in Mesoamerica of a formal state government with outlying areas paying tribute to maintain Monte Alban. At its peak, around 200AD, the city housed 50,000 people and was the largest and most powerful city in the southern Mexican highlands. The site was largely abandoned by 850AD. The reasons for the decline are not clear, but some scientists believe it was due to lack of wood and the cropland becoming barren from overuse. 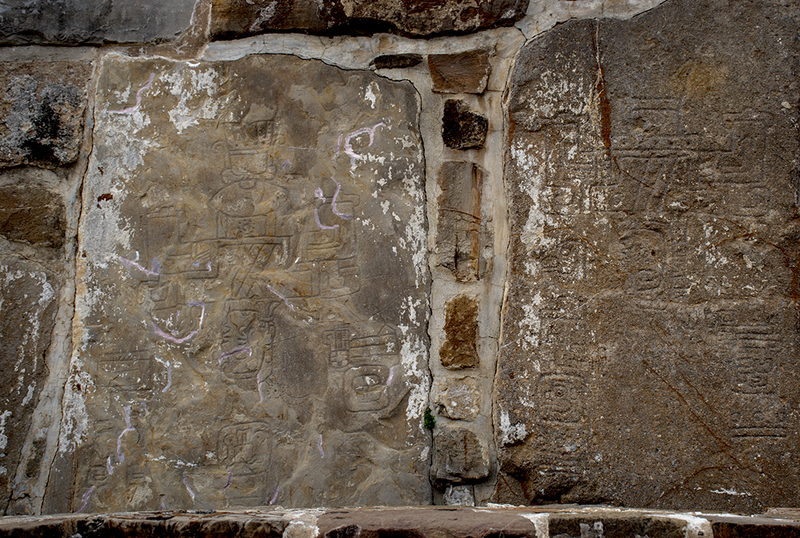 Glyphs carved into stone walls. The city was ruled by a priestly class and the royal families lived in residential palaces. There were 57 palaces on the site each housing 10-20 people and below these palaces were elaborate tombs. There were also 2899 lesser residences, built from adobe brick and lime plaster, which housed between 5-10 people. The people living in these residences buried their dead in the floors of their homes. 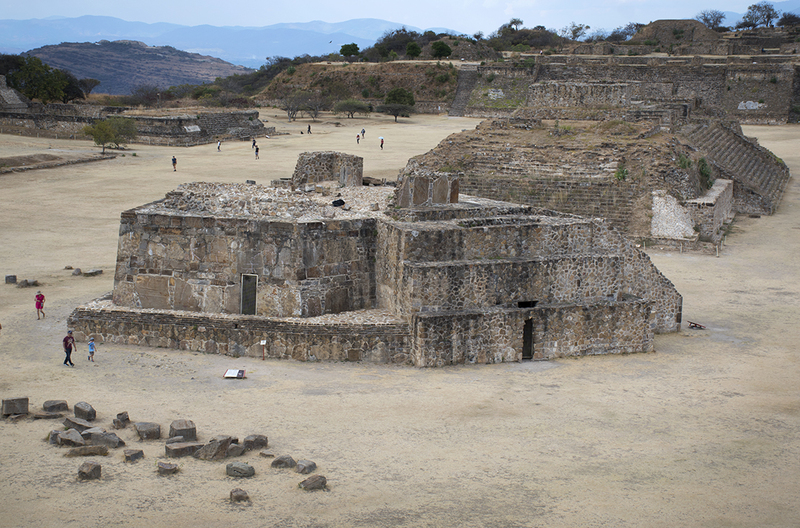 The temples found at Monte Alban had both inner and outer rooms, and they stood on pyramidal platforms. Today it is mostly the platforms which remain although portions of some of the palaces are still intact. 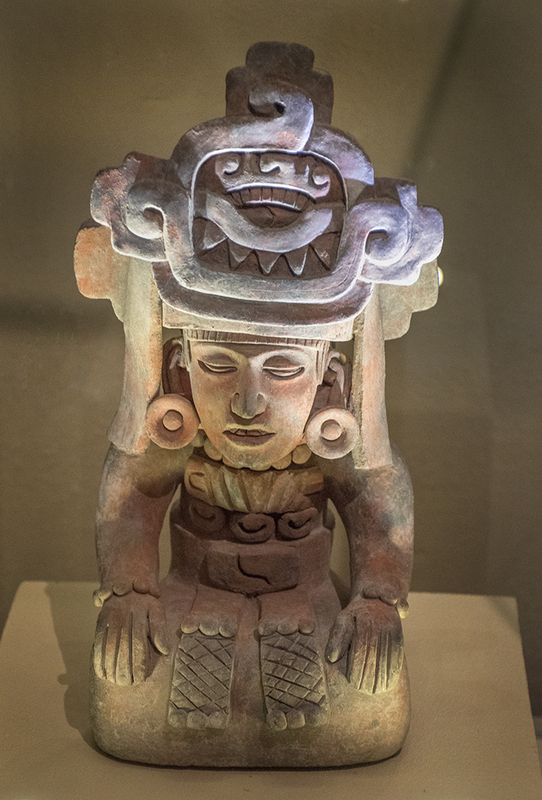 Stone statue from one of the tombs. More carved glyphs on display in the museum. 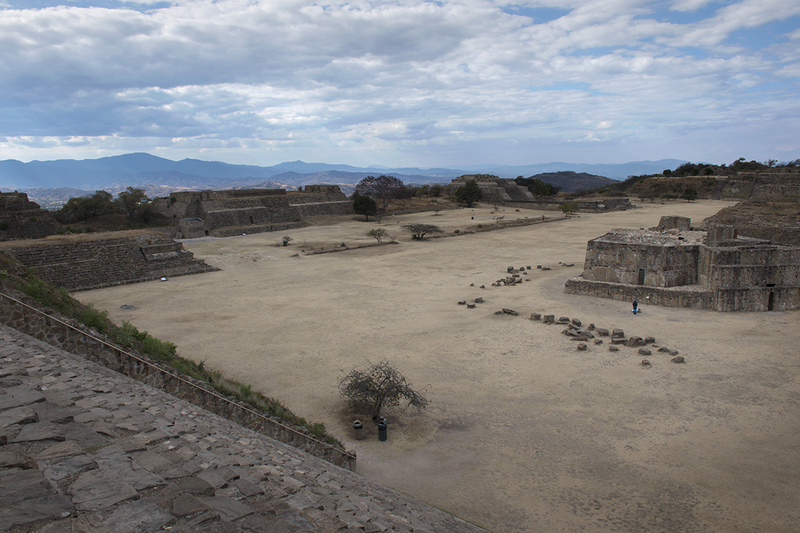 Touring Monte Alban is a much more laid back experience than Palenque. Firstly, it’s much easier to get to. If you read our earlier post about our harrowing trip to Palenque which lasted about 21 hours, you will know what I mean. Secondly, there isn’t nearly as much pressure from souvenir sellers in the parking lots and guides trying to get you to hire them. We found the site to be just as impressive in its own way as Palenque. Maybe it’s because from the high point at the north end of the site you can view almost the entire site in one image as well as the surrounding valley below and it looks really vast and impressive. The observatory is the only building not aligned with the others. The left corner points to astronomical North. We arrived at about 1:30pm at Monte Alban and the sun was high in the sky, not perfect for photography with few shadows to work with, so we walked around for about an hour and took a break to visit the on-site museum and have a cold drink to give the sun a chance to fall a bit lower in the sky. 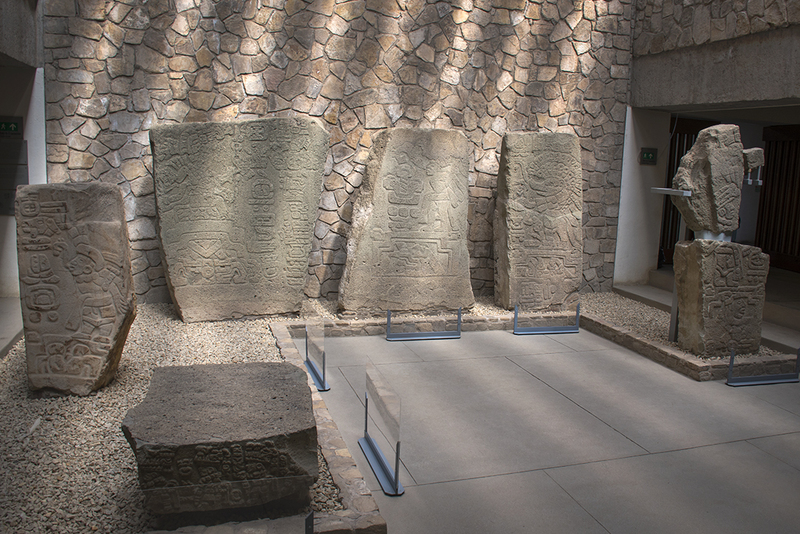 The museum has a nice collection of stones carved with glyphs as well as artifacts recovered from the tombs. It also has a large display showing the timeline of all the project which have occurred over time to excavate various portions of the site. Unfortunately the closing time at Monte Alban is 5pm, which means it closes just before the “golden hour” when most photographers would be setting up to get their best shots. However, when we went back out to the site again the sky had clouded up and now I just had a featureless soft box to work with from the sky. At about 4:30pm there were some breaks in the clouds and some nice “God beams” broke through in spots and created some nice photo effects to salvage an otherwise poor quality photo shoot. “God beams” through the clouds. Still, we boarded the bus back to Oaxaca very happy to have seen such a wonderful place which truly impressed us. 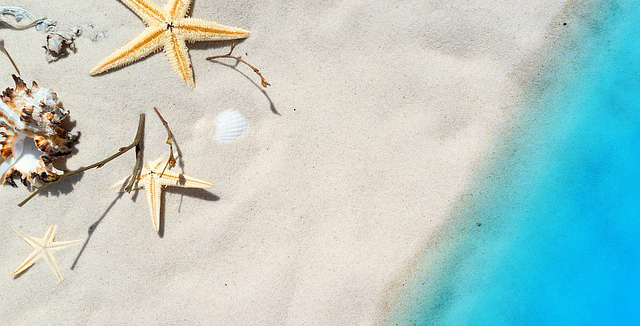 Those clouds definitely worked out for you, nice shots!